A Greek version of a cheese cake with honey. Preheat the oven to 350 degrees with the rack in the middle rung. In a large mixing bowl, add flour, sugar, and salt. Mix to combine. Add the butter pieces and using a pastry blender or two knives, cut the butter in to the flour. The mixture should resemble coarse sand. Add egg yolk, vanilla, brandy, and water and mix to incorporate, kneading dough into a smooth ball. Divide dough into 8 same size disks and flatten in rounds. Cover with plastic wrap and chill while mixing the filling. 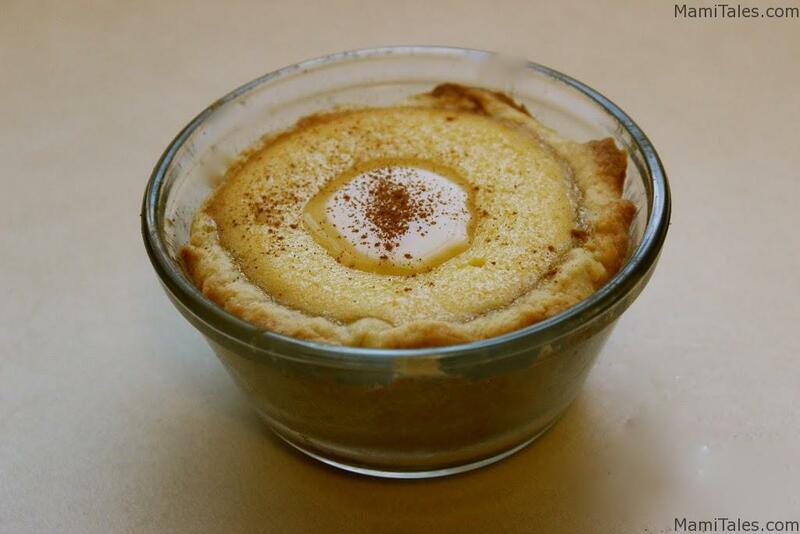 In a medium sized bowl add Ricotta cheese, eggs, honey, lemon zest, flour, and sugar. Mix well until all ingredients are combined. Lightly grease with butter 8 individual size pyrex or pie dishes. Using a rolling pin, roll out your dough circles to the approximate size of your pie dishes. Press the dough in to the sides and bottom of the dish. Add about a 1/3 cup of filling and bake in a preheated 350 degree oven until the filling sets (it won't jiggle in the center) and it begins to turn a golden brown color. For individual portions it took me about 30-35 minutes to have it done. Serve drizzled with honey and sprinkle with ground cinnamon. While we were waiting for the pies to be done, we read the wonderful McElderry Book of Greek Myths for Children, written by Eric B. Kimmel and illustrated by the wonderful Pep Montserrat. 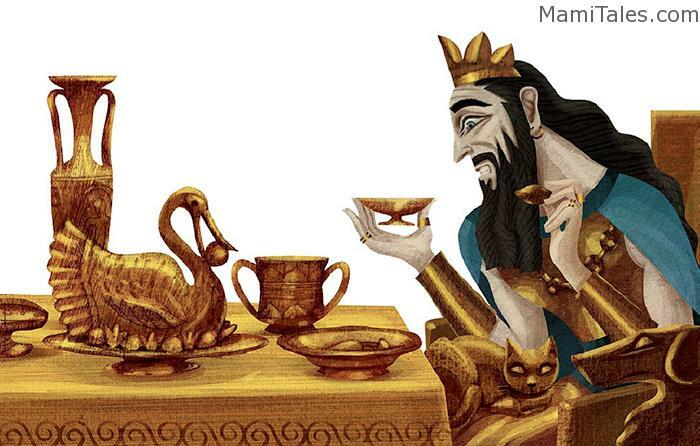 We started with the story of King Midas, who was taught a lesson by the god Dionysius that gold is not the most important thing in the world — turning everything you touch into gold is not a gift, but a curse, specially if you can’t even touch your food or the people you love without turning them into golden statues. Tagged Book reviews-recipes, Cooking with Children, Desserts.